May 10th, 2019 is the 150th anniversary of the Transcontinental Railroad's completion, when the tracks from east and west met near Promontory, Utah. 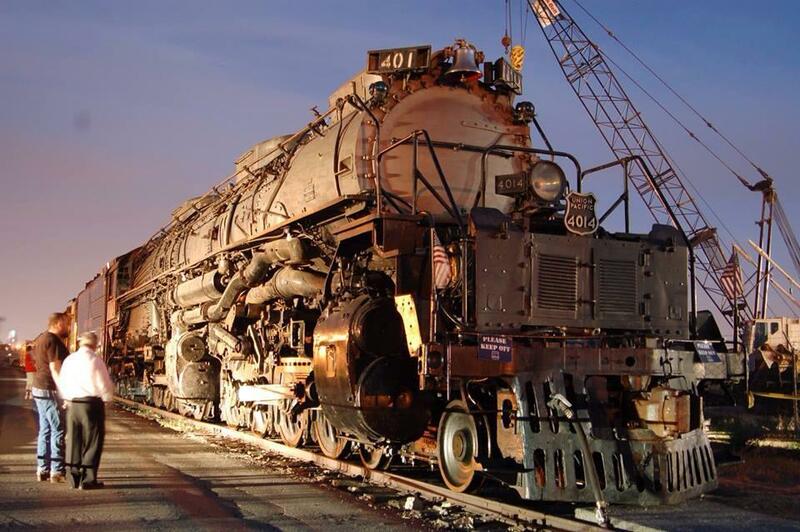 For this event, Union Pacific is restoring Big Boy 4-8-8-4 #4014 which will operate under steam from Cheyenne, WY to Ogden, UT. Seeing this monster in action will be a real spectacle, to say the least! U.P. will also send 4-8-4 #844 to the festivities. Style points for pictures of your Ninja 1000 with the Big Boy passing by! This is Awesome... The Ogden station is 5 minutes from my work. I will get some photos for sure. Have you guys ever driven out to the monument, itself? Maybe my expectations were too high.? Since Union Pacific's main line no longer passes by the Golden Spike Nat'l monument the latter would NOT be the place to see these monsters in action! If you can, check them out at the station in Ogden AND watch them underway somewhere else. Be wary of over-enthusiastic railfans on the roads...if they don't care about their own safety guess how much they care about yours? Don't let that scare you off, heck you might even join that queue of lunatics yourself. The video below does NOT show the Big Boy, but it DOES feature an arrival by the also-impressive 844. Sound quality is really good, too. Enjoy! I watched one of those shows where they were rebuilding an old steam engine and it was fascinating. There was no such thing as spare parts. Everything had to be hand made and hand fitted. The amount of money and work make this thing a must see. I'll probably try to see it in Evanston wyo. They have been rebuilding the train station, in Evanston, and its right across the street from where I work. That thing is so big, at over a million pounds, that it is hard to take a picture of it. The museum has a facility where you can watch several locomotive being restored. Henry Ford has an Allegheny-class locomotive, of the 2-6-6-6 wheel arrangement. It is several feet shorter than Big Boy and similar in weight at just over 600 tons. Big Boy was also capable of greater tractive effort. The Allegheny was produced by Lima Locomotive Works in Ohio, and Big Boy by American Locomotive Works (Alco) in Schenectady, NY. They are super impressive machines by any standard.